We supply conservatories in a wide range of styles with any colour finish. Every conservatory is custom designed – so all you do is decide on a style and size that best suits your needs, your property and your budget. For your conservatory in Stowmarket, it’s as simple as that! We are able to offer prospective clients CAD drawings of proposed designs. We can undertake all aspects of the construction, including the groundworks, electrics, installation and planning application (where required). Prices start from under £10,000 including groundworks, installation and VAT. We use the same top quality window and doors in our conservatories that we use in the domestic replacement market. We believe this system offers unbeatable appearance, performance and strength. Established in 1983 Ultraframe are the undisputed market leaders in the conservatory roof industry. Their systems have been used in over 1,000,000 conservatories in the U.K.
We use their Victorian Classic roofing system for all our Victorian and Edwardian conservatories and their Elevation system for Standard lean-to conservatories. Their product is technically advanced, very versatile and looks beautiful as well. 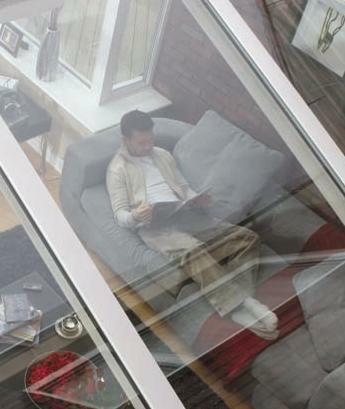 This system can be glazed with 25mm or 35mm polycarbonate sheeting or, for the ultimate in luxury, glass sealed units. The ridge is ventilated as standard. Hips, valleys and structural box guttering can be incorporated to allow almost shape of conservatory – even where height is restricted (e.g. bungalows, single storey extensions). This roof carries British Board of Agrément Certification. Tinted roofs can help to eliminate excessive heat build up in summer. This can be more cost effective and easier to maintain than blinds. Recent advances in glass coating technology make glass roofs an option even in sunny areas of a garden. To receive more information or to arrange a home visit call us on (01473) 253595 during office hours or complete our enquiry form.